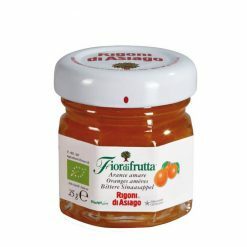 Organic bitter orange fruit spread; non-sugar. Made from organic wild Seville oranges, this spread is delicious on bread or used in yoghurts and milkshakes. It is also great in tarts and cakes. Ingredients: organic wild cherries, organic apple juice, citrus pectin.